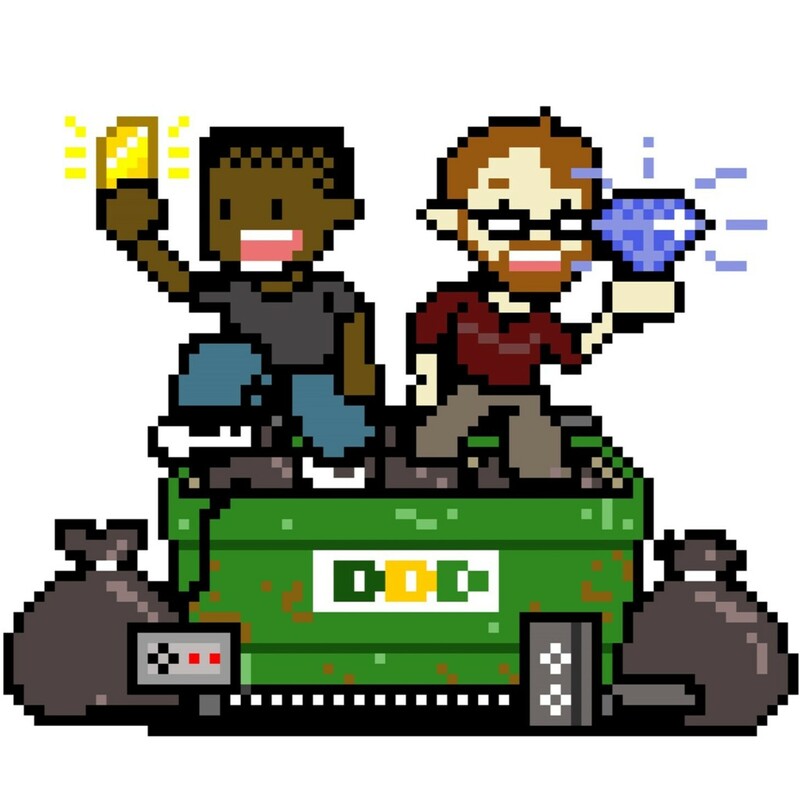 We’re Digital Dumpster Diving! We check out obscure free content in video games and movies, hoping to find something that might be worth your time, but even if we fail, you can laugh at our attempts. This week, Matt & Dave Tackle 2016's Alien Arrival. No...not Arrival, Alien Arrival (originally titled Arrowhead), was a 2016 film was written and directed by Jesse O’Brien, and stars Dan Mor, Aleisha Rose, Christopher Kirby, Mark Redpath, and Shaun Micallef. Kye is a prisoner of war caught between two armies that he doesn't believe in. When offered an opportunity for freedom, Kye sets out on one last rescue mission, only to become stranded on a desert moon when his ship - the Arrowhead - crash lands. Kye has to learn to survive when we discovers a new life form that will challenge his very body and soul. Will you come out of this one better for having seen it, or will it also challenge your body and soul, filling every watching moment with regret? Tune in to hear our thoughts, or, if you're especially brave, you can check it out on Netflix first! Let us know what you think! For our next episode, we'll be trying Zombi, available now for free in the Xbox Games with Gold package, and you can download it through February 15, 2018. Hey, the cover has a picture of a beefeater turned brain-eater, it's got to be good, right? Matt & Dave may seem like great guys, but, as they review Los Parecidos (The Similars), is anything really what it appears to be? Tune in to this spine-tingling episode to find out what's going on with this movie, and our daring duo. For the next episode, we'll be reviewing Alien Arrival (2016), check it out on Netflix, and let us know what you think! This episode features Matt having to contend with a cheeky monkey, as he records with Dave in their review of The Monkey King. Starring Donnie Yen, Chow Yun-Fat and Aaron Kwok, this 2014 reimagining of tales from Journey to the West reaches for the heavens, but is it worthy of a place there? Tune in to find out! For our next adventure, we'll be watching a sci-fi horror film, The Similars (Los Parecidos) on Netflix! Check it out, if you dare, and let us know what you think! Matt & Dave take a trip back to the 80s to check out this classic campy horror flick. How does it hold up? Is it worthy of being a classic? Tune in to find out! For our next episode, we'll be watching The Monkey King on Netflix, check that out and let us know what you think! While this episode won't cost you anything, any enjoyment from some video games might. And in steps Microtransaction Simulator, to take a poke at add-on purchases for video games, but is this one worth picking up? Tune in to hear our thoughts (which you should probably do before spending time on this one). For our next episode, we're looking for suggestions for campy 1980's style horror movies. They don't actually have to be from the 1980s, but the cheesier, the better. What have you got for us? Matt and Dave travel back in time to slash it up in the Ming Dynasty, was it worth the trip? Tune in to find out, and ask how you can get your own hand-held pump-action crossbows! Just remember to keep your maiming on the down-low. For our next adventure, we'll be jumping into Microtransaction Simulator, which will be available for free on Steam September 14th. What are we getting ourselves into? The Penultimate Boys are back with their review of Final Girl! This 2015 movie, starring Abigail Breslin, Alexander Ludwig, and Wes Bentley might just be up your alley, but is it worth fishing out of the dumpster? Tune in to find out the answer to this, and many other questions! Maybe not important questions...and maybe not questions you or anyone else was even asking...but questions nonetheless. And, for our next episode, we'll be watching Brotherhood of Blades, which we're hoping is about a rivalry between Bic and Gillette. And we're back with the movie that almost killed us, Swamp Ape. Yes...Swamp Ape. Spoiler warning: just don't watch this movie, nothing good can come of it. But if you, for some reason, do watch it, let us know what you thought, and if you enjoyed it, tell us what we missed! And after that? Let us never speak of this movie again. And for our next episode, we'll be hitting up a game that is on the verge of release, A Step Into Darkness, which will shortly be available on Steam (slated for August 1st, 2017). Matt and Dave travel through space and time to bring you Rocketship X-M, one of the pioneering sci-fi movies of the 1950s. Here we find several astronauts attempting to travel to the moon, but things don't quite go according to plan. Does this movie hit the target, or go terribly off-course? Tune in to find out! For the next adventure, we'll be checking out Swamp Ape on Amazon Prime...how bad can it be?